It was a record-scratch moment here in the quietest run up to February signing day in recent memory. OK, maybe that's an exaggeration––I blame the quiet––but I did not, when clicking a story titled "14 college football teams that could make big moves on National Signing Day," expect to be reading about Nebraska. I expected to get a quick overview of the biggest decisions coming Wednesday. A few hours after I read that story, Parker committed to Kansas. (Good job, Les Miles, who also has the position coach Parker initially committed to at Texas Tech on his KU staff.) Barring something totally out of the blue, that probably ends Nebraska's run as a team "that could make big moves on National Signing Day." Houston is the Huskers' best bet for a Wednesday addition. Per 247Sports' class calculator, if Nebraska adds Houston it raises the Huskers' class score from 242.93 to 244.05. And that increase, if every other class kept the same score, would bump the Huskers up . . . zero spots in the rankings. They'd still be No. 19 at 247. USC, another of the potential big movers, is No. 18 right now with a score of 246.36. That's all fine. It looks like the Huskers' 2019 class is pretty much what it is at this point. It's a good class, perhaps a very good class coming off a 4-8 season. Moving up or down one or two spots in the team rankings doesn't change that. But that Nebraska was on such a list at all––and there thanks to the potential of adding two players––was a good reminder of just how drastically the scale has shifted towards early signing. We're used to the first Wednesday in February being a big day on the college football calendar, and it still can be for certain schools in certain situations. Nebraska in 2018 was in that position. On a more normal schedule, however, I think we're seeing that it is better if a team doesn't have to be that active in this secondary signing period. Because some teams do have to be active, and the players are scarce, the players that are available are more valuable. 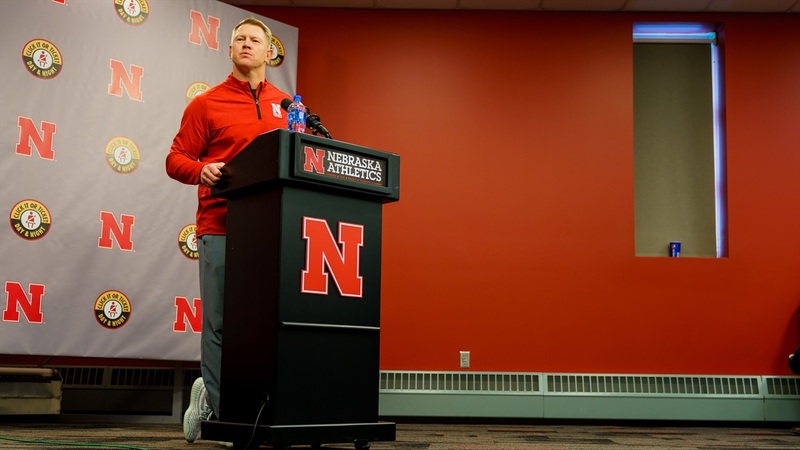 That may not make for the most exciting of February signing days, which still takes some getting used to, but it's probably where you want Nebraska to be. Speaking of Parker picking Kansas, Greg Smith writes that the Huskers’ “help” at outside linebacker might already be on campus. It’s official: Former Husker quarterback Zac Taylor is now an NFL head coach. International volleyball is returning to Lincoln this summer. Jacob Padilla takes a look at the past weekend in high school hoops in Nebraska.